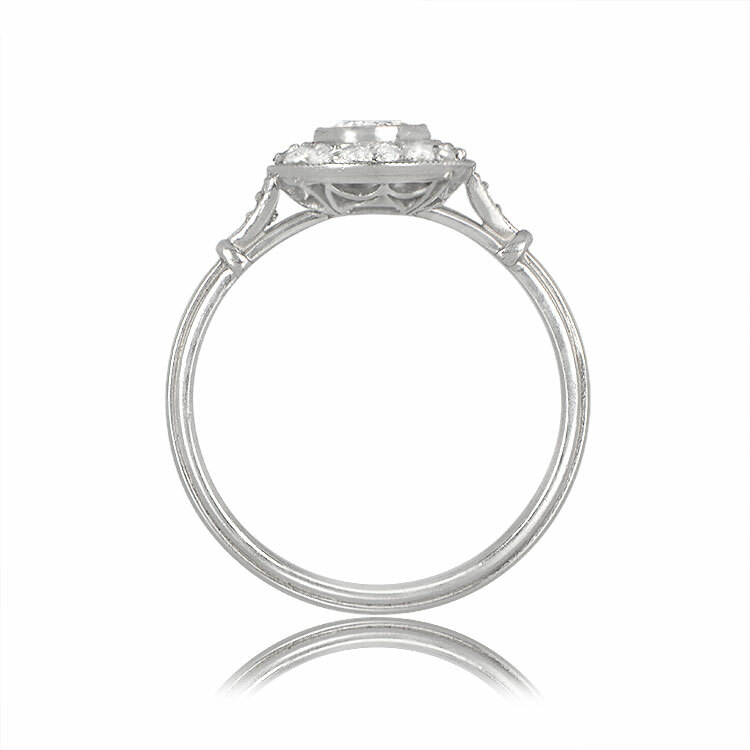 A delicate halo style engagement ring that centers a 0.40 carat old European cut diamond, I color, and SI2 clarity. 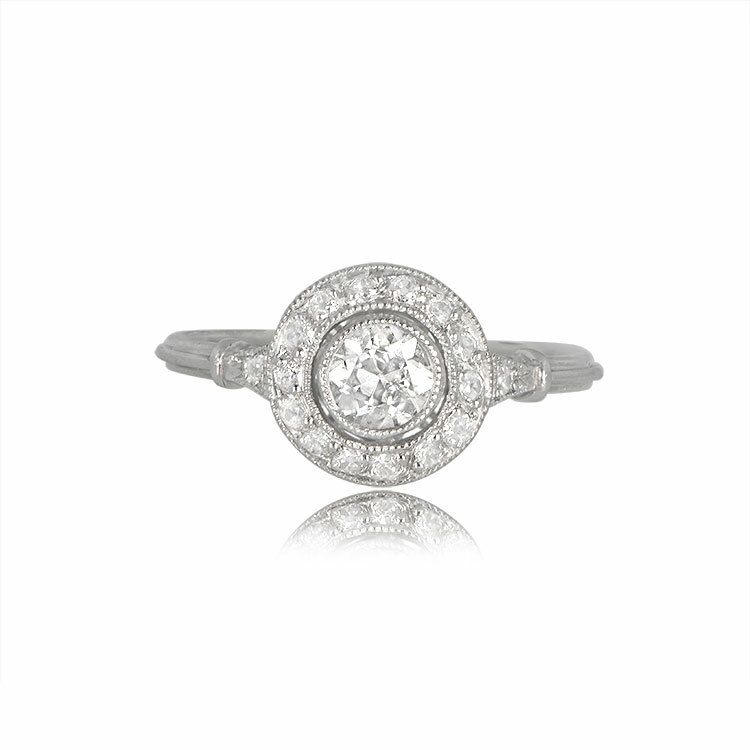 Surrounding the center diamond is a row of old cut diamonds and features a diamond on each shoulder. The under-gallery is finished off with an intricate pattern. This ring is platinum and has a low profile. 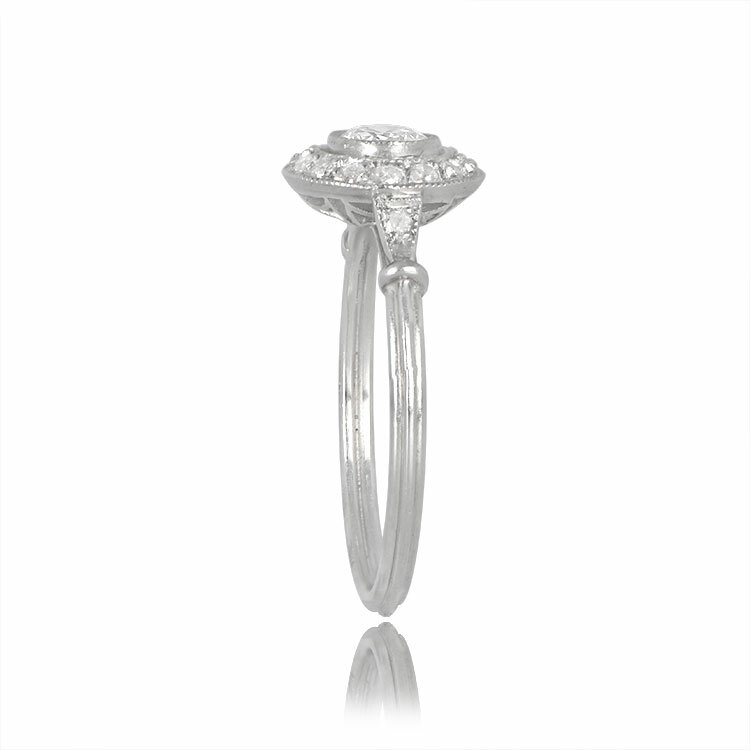 The measurements of this ring with the halo is 9.37mm. The profile sits 4.14mm above the finger. 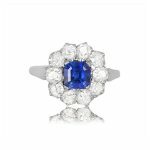 The total approximate diamond weight is 0.55 carats. If you have any questions the Heathrow ring, please feel free to contact us. 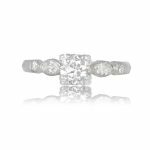 SKU: GS541 Category: Vintage Engagement Rings - Contact us and request additional pictures.